Title: 'Carte des regions et des lieux dont il est parle dans le nouveau Testament'. 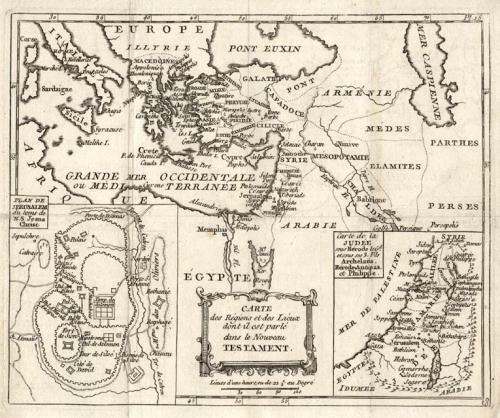 Description: A map of the near East at the time of Christ. In the bottom left corner is an insert showing a plan of Jerusalem whilst an insert in the bottom right corner shows the Judea of King Herod's time, in detail.